Welcome. Ready to get your new small business setup with a website? Been searching for a web agency that focuses on small business website design? Looking to update your current website? Effective at meeting your business needs. You fully own and gives you the ability to manage, maintain and add content yourself. Functions as a powerful marketing and communications tool. Ensures you can be found online by your customers. Connects your business with Google, Social Media and is Mobile-friendly. Provides a useful resource for your target audience to find and connect with your business. Ready to get a new website for your small business? Small Business Web Design Packages that deliver great results at an affordable price. Through working with businesses all over Australia we have discovered the essential elements that creates successful small business websites and they are built into each of our small business website designs. We love the positive feedback that we receive from our customers, even better – we enjoy watching their businesses grow. 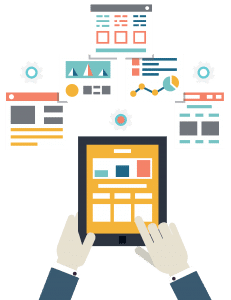 Get Online Australia Digital Marketing have helped many Australian small businesses through the process of getting their website designed and developed. Whether you need a new website design or a website redesign, let our small business web design specialists take care of it for you. All websites are built on the WordPress content management system, on your own custom website address and once complete (and final payment is made) you fully own and control your website. Use your small business website as the hub of your online marketing. Your small business website is an affordable and effective way to market your small business and communicate with your customers. It can integrate with your social media or act as a stand alone reference for new customers to find and contact you. Get Online Australia Digital Marketing will help you not only establish your website but also grow your presence online with our affordable support and training options. All of our website design packages include a free training session to help you get comfortable with editing and adding to your website, saving you money over the long term. Whichever way you prefer to go, we will always be there to support you. Thanks for the great website and Facebook support. You have made our social media presence look very professional and fresh! Highly recommend Get Online Australia if you want a website or social media support. – Julie Simon-Abbott, Calculating Women. Branding is just as important for small businesses as it is for big names. Branding is all about the impression you make and we’ll help you put your best foot forward. Websites need to connect with Google, Social Media and other online platforms (such as email marketing, booking engines, online stores). We’ve got you covered. There is a lot of ‘lingo’ in the world of websites. We cut through the technical details and provide a simple and straight forward process that works to get your small business the website design it needs. A powerful content management system, combined with strategic website design. There is a reason around 25% of the World’s websites are built on WordPress. From simple online payment integration to a fully-fledged, rock-solid e-commerce website design that is extendable and easy to manage and add to. 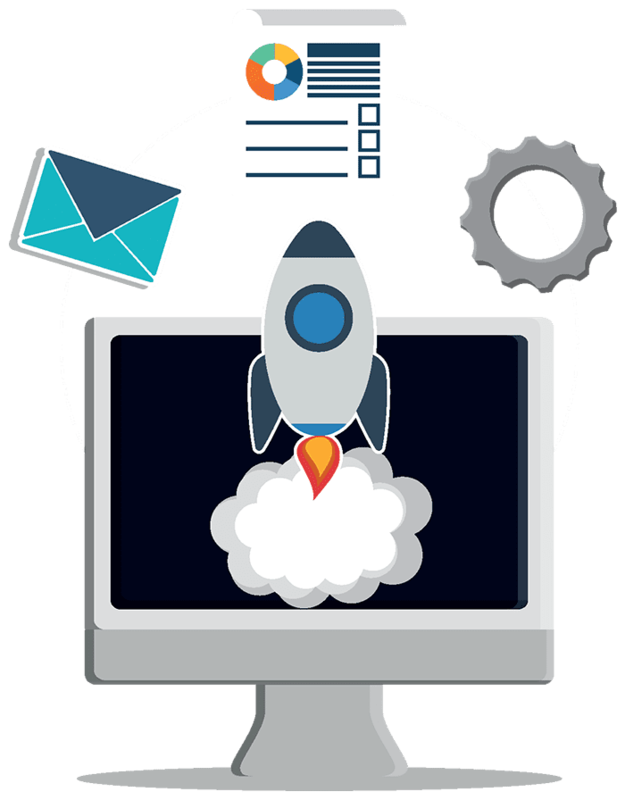 Grow your business online with landing pages, sales funnels, email campaigns, social media, search engine optimisation and online advertising. We’ll talk strategy to help you reach out to your audience and convert them into customers. Our small business website design packages are designed to help small business owners in Australia get their new website at a price point that suits their budget and needs. We offer a range of packages to suit differing needs and can also cater to specific requirements with a customised proposal. This is useful if you want an e-commerce website design, membership site, online booking systems or other specific functionality that goes beyond a simple website design package. Our small business website design packages have been created to ensure small businesses and organisations have access to a well designed, great looking website, that’s extremely affordable. Our small business start-up packages get your new business online quickly and simply. They include marketing consultation and branding. To get your business started with a strong foundation. Get Online Australia have helped many Australian small businesses through the process of getting their initial online presence established. Benefit from our experience helping other small business owners through the start-up phase. What was essential? What will give your business a headstart? What are the most important elements to focus on? You won’t be on your own. Successful websites are those websites that continue to attract the right type of visitors and lead them down a path towards becoming a customer. We can assist you with ongoing website support, digital marketing and content strategy to make incremental improvements to your website to ensure that it continues to deliver a positive return on your investment. You have a website that is crucial to your business. It generates leads, customers and revenue. It’s a channel through which customers, suppliers, potential new staff and partners will find you and engage with you. It is fundamental to the success of your business and you want peace of mind that it will be up and available for your audience 24/7 without interruption. If you’re already one of our customers, then you know that we know your website intimately – because we built it or have at least worked on it. We know the variables and combinations of things that hang together to make it work. We also know the software your website is built on very well. We’ve been using it for over 12 years and all of our websites (including this one) are built on the same software. So we are in the best position to keep your website up and running and open for business and we can do that with one of our WordPress Website Support Plans. Perfect for sole traders and small businesses that just need a simple online brochure for customers to refer to and find them online. This package is designed for small businesses that want to establish their branding and online presence with strong foundations including custom graphics and calls to action. This package is perfect for businesses that want a customised online presence which allows them to be found. The professional website package establishes an online presence including search engine optimised pages to help you get found online as well as google analytics visitor tracking and more. The ULTIMATE website package establishes an online presence beyond your website by creating social media profiles and listing your business with Google. This package is designed for businesses who want to be found across different digital marketing channels including social media and Google listings.